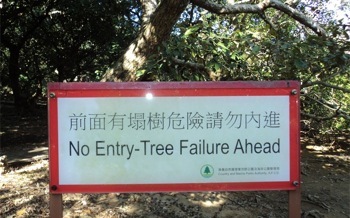 It must be hard to be a tree in China! We all know that life in China is competitive, often the first qualification you have to have before you are even born is to be male! And from then on you have to do well on the great treadmill, be the best at school, strive to ever greatness for the benefit of the great fatherland…….. sorry I drop off there but you get the picture don’t you. So with all of the above in mind it isn’t surprising that the little fools on the other side of the Great Wall even judge trees is it! One last observation if I may! It is odd isn’t it that a country with so many people, most of them males and with such high standards to live up to are frankly not cutting the mustard. When was the last time you heard of an original Chinese invention that wasn’t ‘borrowed’ from a western corporation or government? Gunpowder and Fireworks come to mind as the last thing that the Chinese invented when not looking over a westerner’s shoulders, but that was such a long time ago, wasn’t it. A Museum that will shock you! When Mrs. 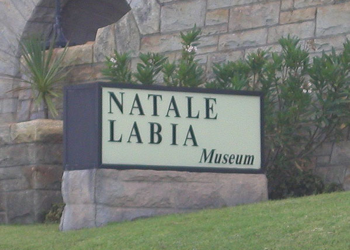 Anonymous (who I have to say I don’t know) sent me this picture from Cape Town someone had to explain the subject of this Museum to me because when I opened the file I had no idea what treasures were hidden behind the doors of the Natale Labia Museum. Now I know though and frankly I wish I didn’t! Changing the subject – quickly – I hear from my publisher that the ebook versions of my wonderful books ‘Getting Out – Excerpts from a Cat’s Diary‘ and ‘The Cat’s Travelogue’ will soon be available at the Apple Bookstore, the Sony Bookstore and on something called Kobo – whoopee I say if it means that more of the folding stuff comes in, or should that be – wonderful news that my books are available to a wider audience, well I suppose so, although the extra cash sounds nice too! 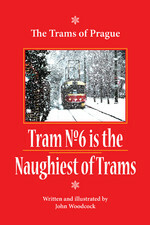 As you would expect from one of the world’s foremost self-promotionalists I will keep you informed of the developments as and when they happen so that you can buy my books at these great retailers as well as on www.Amazon.co.uk and www.amazon.com to say nothing of the shop at my www wickedlywonderfulwebsite My Store although because it is a beautifully designed website and very posh I call that page my ‘store’ which has a certain ring to it like um… Apple Store. 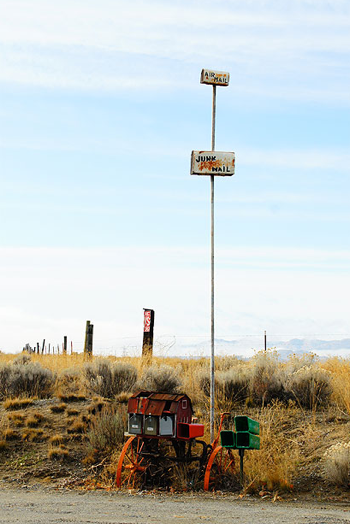 Well that is one way to deal with Junk Mail, I wonder what they do to all of the spam that Google’s Gmail attracts? When you are on holiday you have, as I see it two choices, you can coat yourself in sun tan lotion, flop down next to the pool, order a constant supply of cool drinks, and totally veg out or you can use the sun, sea and spare time to get fit. They do say that Tunisia is a great place to go on holiday, I personally don’t agree, but a lot of people do visit for a holiday and come back again although less since the whole Arab Spring – that’s vista and come back rather than just visit and disappear of course. One of the many reasons why I think that Tunisia is such a bad choice as a holiday destination is the weird ideas that they have for exercising as the picture below suggests. Another reason is ‘safety’ and I can’t stress this one enough, if you stray into the native areas or indeed a Gym you could be risking your life. 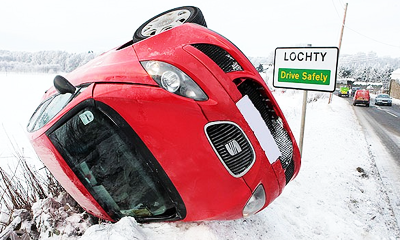 Again these dangers are demonstrated using the picture – which is now above . Just imagine a ‘Water Aerobics’ class that soon after requires ‘Body Pumping!’ Just how much water do these characters expect use mere mortal holidaymakers to take on board? 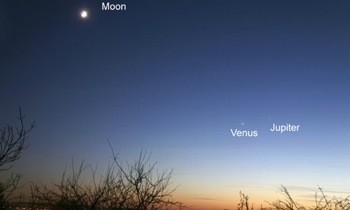 I saw these pictures of the Moon, Jupiter and Venus online (unlike the real thing sadly) and thought I would share them with you my dear cuddly readers. 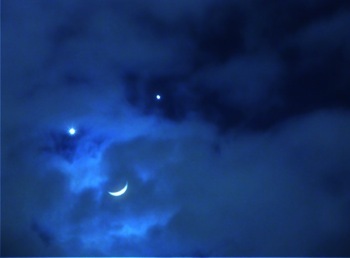 They clearly show that we live in a wonderful Universe which when we start to get to know it will be an exciting and magical place with endless surprises and opportunities. What a shame then after thinking of all of that ‘higher’ stuff that I read in the newspapers that Russia wants to send a man or two to the Moon, not to explore, consider the wonder of the view like the first men on the Moon, but to dig it up for rare earths and collect something called Helium 3 which is apparently very very rare and so worth a big fortune. I suppose that the next ‘Put’ as they will no doubt call future Tsars will then want to hold the rest of the world to ransom by limiting supply of this stuff like they do to Europe at the moment with their natural gas, just like the Arabs do with their oil and the Chinese do with their rare earths. It is such a shame that the marvellous Cosmos is regarded by most humans as a place where they can go eventually to dig it up and make the same mess of the Universe as they have made of the home planet. What say us Cats rise up and do something about this. Oh look a plate of Prawns and someone has puffed up my pillow – maybe I can start the revolution tomorrow! Summer is coming, well after Spring of course but it will be here soon enough and frankly I can’t wait for a bit of warmth and some serious eating Al Fresco. Of course TV chefs and food writers in magazines all believe that us ordinary common folk (well you ordinary common folk) can just reach up to the top shelf of our kitchen cupboards (or jump if you’re me) and whip out enough Tamarinds to turn into 4 tablespoonfuls, sadly they live in a dream world where they are not only famous but useful! 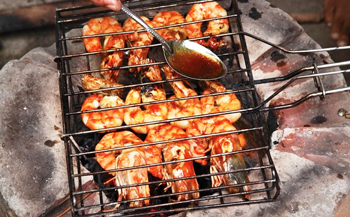 I think that the best way to eat Barbecued Tiger Prawns or indeed any type of Prawn is with the least amount of ‘cooking’ and quickly, in terms of quantities the fool who wrote the article where I saw the picture above thought that 12 Tiger Prawns between 4 people was sufficient – really? This Cat believes 12 Tiger Prawns each might act as a small starter if the meal then moves on to Scampi, Potted Shrimp, and Prawns Sandwiches without the bread, Lettuce, Tomatoes etc! 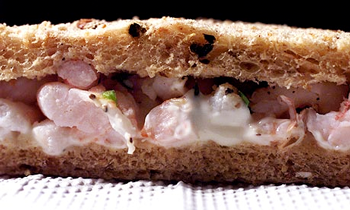 I suppose these sandwiches could be called PLT’s in the new world across the sea where the simple Bacon sandwich have been thus elevated. So a PLT for me please and hold the Bread, Lettuce and Tomatoes thank you ever so much! Um it hasn’t arrived yet! 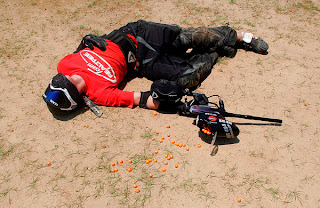 You know the expression ‘never play with guns’ is so try but people still do and then look what happens! Oops! What a shame that the ‘safety’ was off! 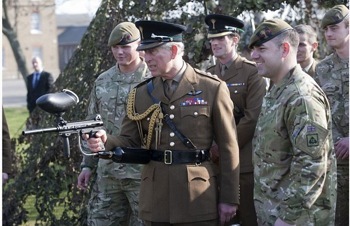 Still at long last the prince of Wales has actually ‘done’ something while wearing a military uniform and impersonating someone from the armed forces, I think today he is a General in the Welsh Guards, but tomorrow he may be wearing his Admiral’s hat, he was after all a ‘Captain’ in the navy half a lifetime ago! After moving 2,000 miles from Ungarra, South Australia to a new home in Darwin high up in Australia’s Northern Territories in March last year Jessie The Cat went missing, her family looked everywhere for her but she was nowhere to be seen. A year later Jessie The Cat’s family had more or less given up any hope of ever seeing their wonderful Cat again until one day the people who had moved into Jessie The Cat family’s old house called them up and said that they had seen a strange Cat mooching around their house. Jessie The Cat’s family asked for a picture, just in case the strange cat wasn’t a stranger to them. The picture arrived and delighted Jessie The Cat’s family because – well you have guessed it, it was Jessie The Cat. 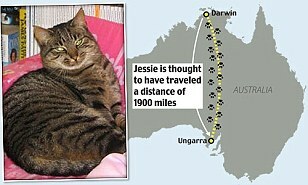 Jessie The Cat had somehow managed to walk 2,000 miles back to her old home and her journey gets even more impressive when you look at the routes she may have taken, either Jessie The Cat crossed Australia’s searing desert or she took a very much longer coastal route to visit her old house and chums, until now Jessie The Cat hasn’t said which one she took or indeed whether she plans further adventures in the future. Just like Jessie The Cat your favourite genius of a feline author has been travelling, last year and indeed for a few years before I travelled the world researching my latest and most wonderful masterpiece of feline literature ‘The Cat’s Travelogue’ and although I didn’t actually match Jessie The Cat’s feat on all fours I think I deserve a pat on the back don’t you? 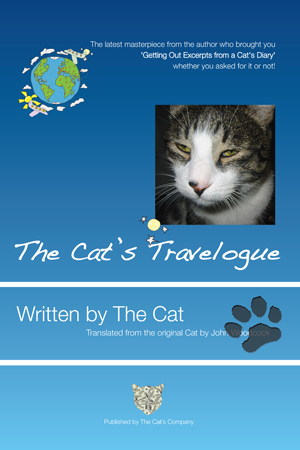 You can get The Cat’s Travelogue Paperback Edition or a copy of The Cat’s Travelogue ebook by clicking these links or the nice picture below!